Where can kids meet some fun and funny Halloween characters, pose for pictures with mesmerizing mermaids and trick-or-treat in a sea-inspired atmosphere? 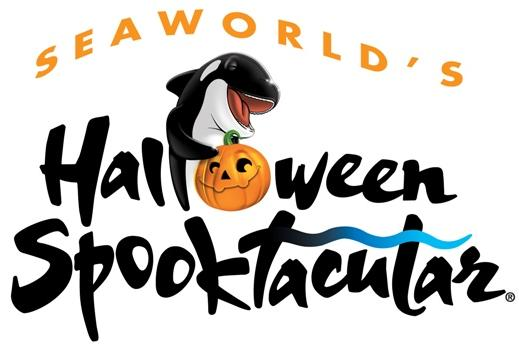 It’s all happening at SeaWorld’s Halloween Spooktacular®, where Halloween meets the sea. Also, kids can visit the park for free in October with the purchased of a full-priced adult admission. Don't forget SeaWorld offers free single day admission for active duty military members and up to 3 dependents. This past weekend we were able to check out the festivities with a few other blogger families! Our morning began with a delicious breakfast of crepes, breakfast burritos, fresh fruit, and more! Executive Chef of SeaWorld San Diego, Axel Dirolf, always prepares great eats during our visits! We then had some up-close interactions with a few creepy critters, just in time for Halloween! The perks of working at a school with a year round schedule is that when most are just starting school, I'm already on vacation! Yes, it's Fall Break and I'm totally loving it! One of the things I love to do when on vacation (and every other day at that) is eat! I'm always up for a great meal! Thanks to California Pizza Kitchen, hubby and I were able to try the company’s Recipe for Reimagination at its Solana Beach, California location. The restaurant has undergone a complete transformation, from the design and décor to the menu. The Solana Beach location is among the first in the country to roll out the new design and menu items, with other locations to follow. It was a beautiful Labor Day weekend in San Diego to have the US San Sculpting Challenge right on our bay front. The annual event bring sand sculptors from all over the world to compete. The sculptures were awesome to see! The three dimensional features of the sculptures were amazing! Here are our boys checking out the cool designs! 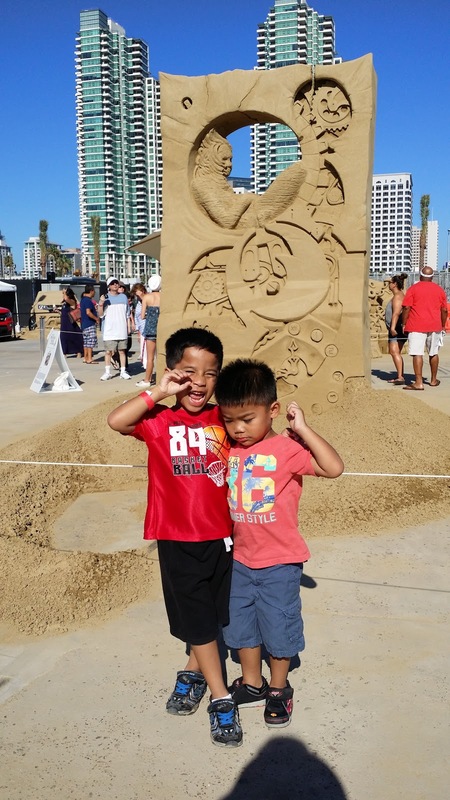 Of course, our boys had to try their own hand at sand sculpting. Not as good as the pros, but good enough! We even got to meet and greet the Foster Farms chicken! Fun! We hope your Labor Day Weekend was filled with fun, just like ours!